Thanks for your interest in Employment opportunities at Solaro Energy! 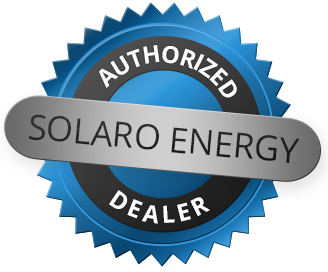 Solaro Energy, Inc. is the manufacturer of a variety of residential and commercial solar powered products. We are looking for positive attitudes to fill our long term employment opportunities, open positions are listed below. Solaro Energy Inc is looking for hard working people, with positive attitudes, to join our sales team! Full-Time and Part-Time positions are available. Establishes new accounts by calling on existing or potential sales outlets, trade factors, etc. Helping the Earth Stay Green. At Solaro Energy, we are committed to helping the planet stay green. We are focused on preserving the environment with green products and promoting off-grid independence. We have over 15 years experience in harnessing solar power, and over 25 years experience in manufacturing energy efficient products.